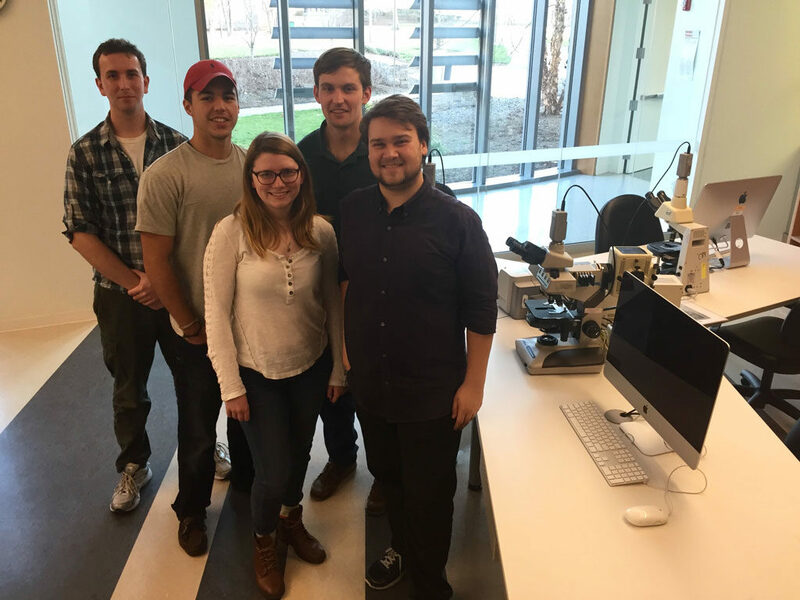 The Imaging Center for Undergraduate Collaboration (ICUC, or “I see, you see”) is Wheaton College’s state-of-the-art facility where students and faculty capture and analyze digital images of diverse subjects – from single cells to whole star systems! The ICUC was established in 2002 by a generous grant from the National Science Foundation (NSF grant # 0126637) to support the innovative teaching and research with digital imaging occurring in all science disciplines at Wheaton. In the ICUC, students use the latest computers, microscopes, and digital cameras, networked to each other, to the campus, and to the world, to collect, analyze, and distribute digital image data from a limitless number of sources. The ICUC is a tool for making connections. Courses, students, and professors across academic divisions (Natural Sciences, Social Sciences, and Arts & Humanities) utilize this space for their coursework and research. The ICUC provides the tools for faculty to connect their courses and have students work together on collaborative projects from an interdisciplinary perspective. For example, the Living Architecture Connection used the ICUC to explore how human constructed and natural architecture share similar principles.